In New York in February, 1891, The Sun’s man visited a local brewery. It was a lager brewery, not named. Perhaps Schaefer, perhaps George Ehret’s, or Jacob Ruppert’s, Rheingold. Although nearing the period when Prohibition sentiment was at its peak, the paper didn’t cavil from giving a full page to this topic, with pen and ink illustrations to boot. 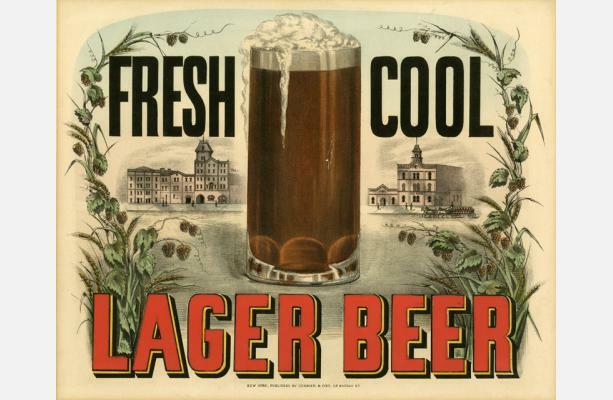 In this period, the Sun and other New York papers carried brewery advertising and occasionally (not this time) featured articles on the industry in a kind of special issue, where for two or three pages lavish brewery ads would appear with articles on different aspects of the business. The Sun’s 1891 article was more human-focused and with a humorous edge. Still, numerous technical details emerge of interest including some I’ve not heard before. The focal point was the German foreman, whose “curious” mixture of English and German the writer found amusing. There is a recurring punch line in the story, but I’ll let you read it for yourself to get the full impact. The quantities consumed by workers at the brewery every day almost beggar belief. 20 or 30 beers are downed and they couldn’t have been small measures, a large wooden mug is pictured at the men’s bar in the courtyard. The foreman sometimes pulled a beer into “glasses” strategically placed throughout the plant to the amusement of the visitor, perhaps these were smaller in size. The beer was probably 4% abv, similar to a modern light beer (in alcohol), maybe a bit stronger. Accounting for some foam, maybe the men netted 12 ounces of “solid” beer (a term used in the article) with each drink. 20 glasses of 4% beer is 15-16 beers at 5% abv. Some workers, including the foreman, could hit 30. That’s like a two-four down at The Beer Store. It seems hard to believe people could work like this, but the article says there was no obvious intoxication. Two technical points stood out for me. The first was that “natron” was added to the kegs, this is a white, chalk-like substance, a carbonate of soda. In an explanation both familiar and odd-sounding, the foreman told the writer it was added to keep the beer “mild” and take out the bitterness. The mild part makes sense. Natron is an alkali, and would tend to minimize acidity in the beer. Sourness could result from unpasteurized draft beer going off. But also, new beer being kegged might have been a little sour due to isinglass being added, which was typically dissolved with cream of tartar then or another sourish agent. Perhaps the natron neutralized the acidity from this source. But the part about lessening bitterness doesn’t tally IMO. If you want less bitterness, just use less hops. Indeed that’s just what happened by mid-20th century. I think the foreman’s explanation was a bit muddled, maybe drinking a case a day can do that. The writer had the presence of mind to ensure he tasted the beer without the natron to see if it made any difference. Unfortunately, he failed to report on any difference in taste, if noted. If metal got in it could ruin the beer or even cause an explosion. I am not sure what this is referring to. 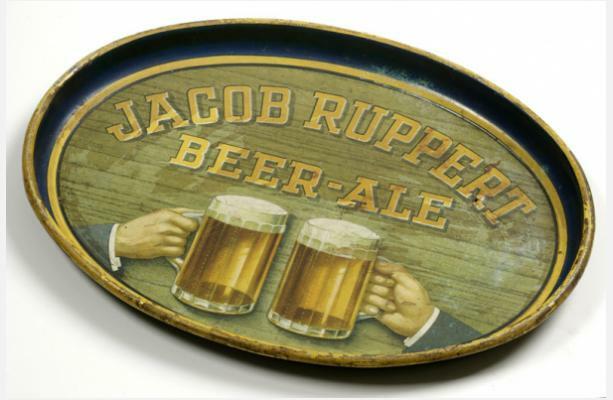 Maybe as whole hops went into the strained mash – there were no hop pellets or fluid extracts then – sparks from metal fragments could set off a fire (the dust). I’ve never heard of this being done though, if anyone knows about it do say something. The men’s wives and other female relations brought them lunch during their break. The women would share the meal with them and all drank from yet another keg brought in for the crowd. The spell with the family makes sense given the long day, 6:00 a.m.-6:00 p.m. (Later, a strike in New York ensured it was cut back). I find it interesting that the brewery’s name wasn’t mentioned. Maybe the piece was viewed as what we call today generic advertising, and the space paid for by multiple breweries. Hard to say. The recurring punch line in the story reminded me of a comedy sketch when the great Jonathan Winters appeared on Johnny Carson’s famous late-night show. Winters was riffing on his youth, probably spontaneously, and described the family Christmas after the family had lost its money in the 1930s. Winters: “Johnny, that was when the toys became wooden, a broomstick with a face carved. And in the stocking bag it was always walnuts. I put my hand in and pulled out a walnut. And then another one, and another one, and anoth…”. (See from 8:00-10:11 in the link given). Note re images: The images above were sourced from the website of the New York Historical Society, here. 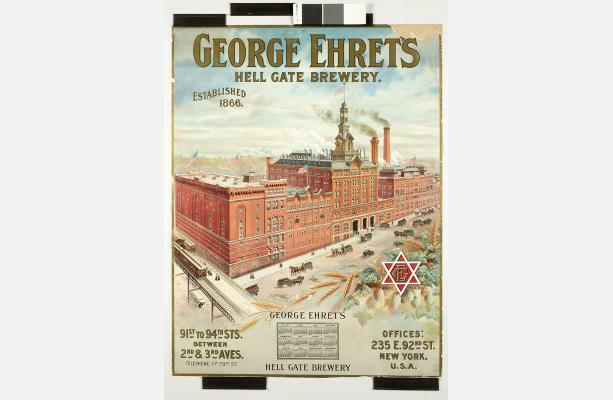 The Society mounted a well-received exhibition on New York brewing history in 2012. All intellectual property in the images belongs solely to their lawful owner, as applicable. Images are used for educational and historical purposes. All feedback welcomed.